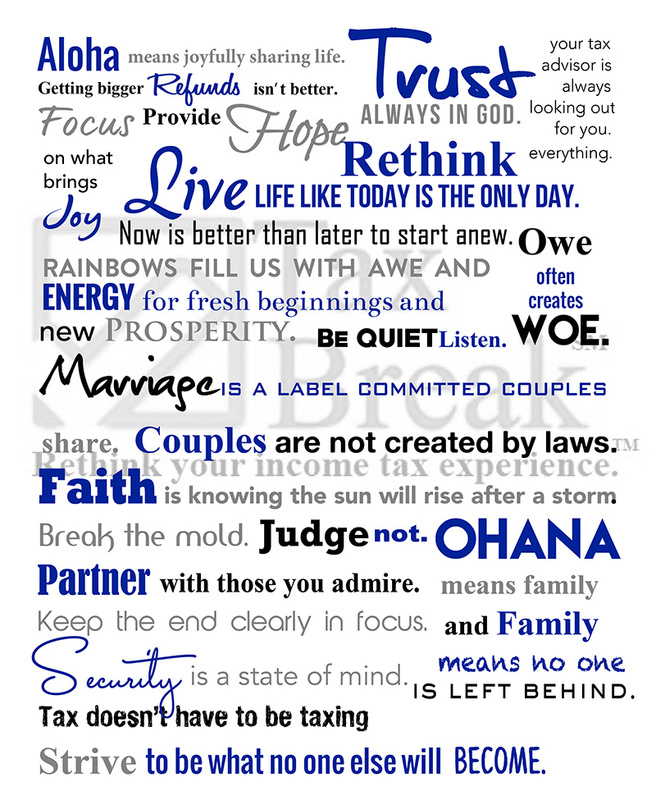 Every member of the Tax Break team is committed to the values in our manifesto. Anchored by our faith in God, we are dedicated to a service model that educates each client to manage income with a goal of getting the most money every payday while not owing any tax at the end of the year. Rethink your income tax experience. 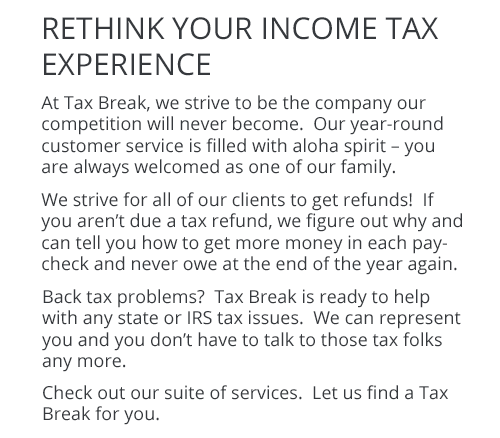 Tax Break is the income tax company our competition will never become. 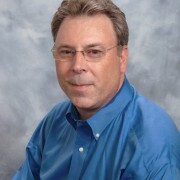 Jeff supports individual, small business and corporate clients in the Metro DC area, across the United States, & in 18 foreign countries..
Jeff is authorized by the Internal Revenue Service to validate documentation for ITIN applicants, avoiding the need to send in original passports for ITIN processing. As an Enrolled Agent, Jeff represents clients before the IRS to resolve complex tax debt and compliance issues. Diana provides bilingual (English/Spanish) tax services. With over 11 years of tax experience, Diana understands filing income taxes can be a stressful experience. She explains and educates clients on taxes so you can better understand your situation. 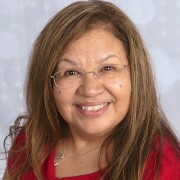 Diana specializes in helping Latino taxpayers understand U.S. taxes and take advantage of all the deductions and credits. She helps clients legally pay less income tax and have more money in their paychecks.